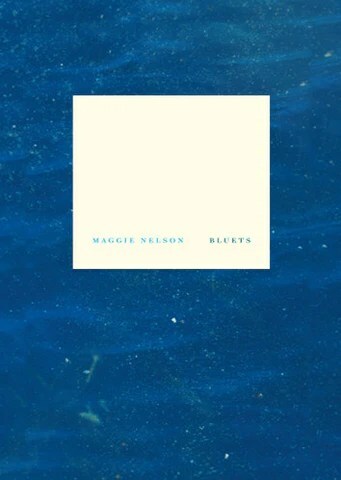 I needed to read something artistic, and so I finally read Bluets by Maggie Nelson. I read it quickly. (It did not need to be read slowly.) It seemed like I’d read this book before. It reminded me of Coeur de Lion by Ariana Reines, but not as beautiful as that in terms of the sentence. It was beautiful, though, and smart–one of the best books I’ve read in the genre. I had little patience for the sexual aspects of the book. That’s me though. Lately, those inclusions seem cheap. I used to “get it.” Adding the sexual gave writing that perfect blend of raw and mystery. Anymore I only want to think about birds and botany. “My Thought has though itself through and reached a Pure Idea. What the rest of me has suffered during the at long agony, is in describable” (Mallarmé 2-3). “Now I like to remember the question alone, as it reminds me that my mind is essentially a sieve, that I am mortal” (62). “…the blue of the sky depends on the darkness of empty space behind it” (62). “For some, the emptiness itself is God; for others, the space must stay empty” (86). “…ask not what has been real and what has been false, but what has been bitter, and what has been sweet” (86). “As a rule we find pleasure much less pleasurable, pain much more more painful that we expected” (87). “She is too busy asking, in this changed form, what makes a livable life, and how she can live it” (88). “Imagine someone saying, “Our fundamental situation is joyful.” Now imagine believing it…Or forget belief: imagine feeling, even if for a moment, that it were true” (89). “When I was alive, I aimed to be a student not of longing, but of light” (95). This entry was posted in art, books, enlightenment, existence, existentialism, love, nihlism, reading, Uncategorized and tagged blue, bluets, book club, book review, bowerbird, IKB, International Klein Blue, jacaranda tree, maggie nelson on March 7, 2017 by sherewin.